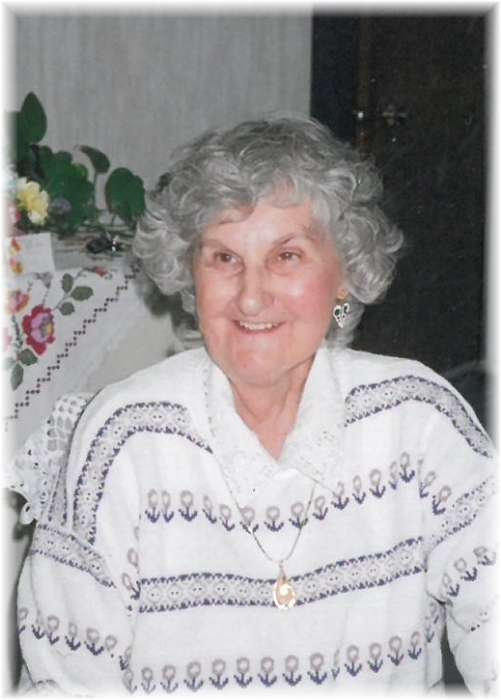 Victoria Korzenoski of Grandview, Manitoba passed away on Monday, April 8, 2019 at the age of 89 years. A Memorial Service will be held for Victoria on Wednesday, April 17, 2019 at 2:00 pm from the Grandview United Church in Grandview with Rev. Karen Kuzek officiating. Interment will follow in the Grandview Memorial Gardens & District Cemetery. Should friends so desire, donations in memory of Victoria may be made to Cancer Care Manitoba or to a charity of one's choice.